In Antigua, coffee production is done at more than 1,500 meters. The volcanic soil is rich in minerals, low in humidity, and enriched by pumice stone. Surrounded by historical ruins, colonial churches, and volcanoes, the area enjoys abundant sun, cold nights, and dense foliage that provide protection from frost. 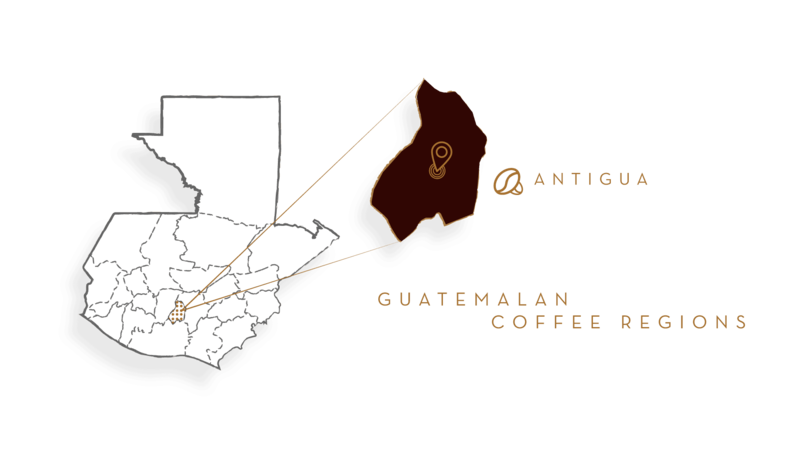 Our Antigua medium-dark roast comes from small producers harvesting on the slopes of the Volcán del Agua. Elegant and well-balanced, it has an aroma of jasmine and a satisfying sweetness.